Southampton defender Virgil van Dijk is set to become a Liverpool player as soon as the Winter transfer window reopens on January 1st. The Dutch International will be walking a well trodden path as he will join a long list of former Southampton players that now don the famous Red Jersey of England’s second most successful club. In a deal said to be worth an astronomical £75 million, million, van Dijk is set to become Liverpool’s most expensive signing ever with his fee surpassing the £58 million fee that will be paid for Leipzig’s Naby Keita next Summer and the £44 million paid to prise Mo Salah from AS Roma. Liverpool’s outlay on Van Dijk is also a world record for a defender overtaking the £52 million which runaway premier league leaders, Manchester City, spent in securing the services of French full back, Mendy, from Monaco last Summer. In its official announcement of the deal, Liverpool posted a picture on their website of the Netherlands defender holding a Liverpool jersey, and said that he will join the team when the transfer window reopens on Monday. The Club also revealed that the defender will wear the No. 4 shirt upon his arrival at Anfield. The jersey had hitherto been worn by the likes of Sami Hyypia, Alan Jansen and Jason McAteer.The most recent Liverpool star to own the No.4 shirt was Kolo Toure, who was immensely popular with the Anfield faithful. 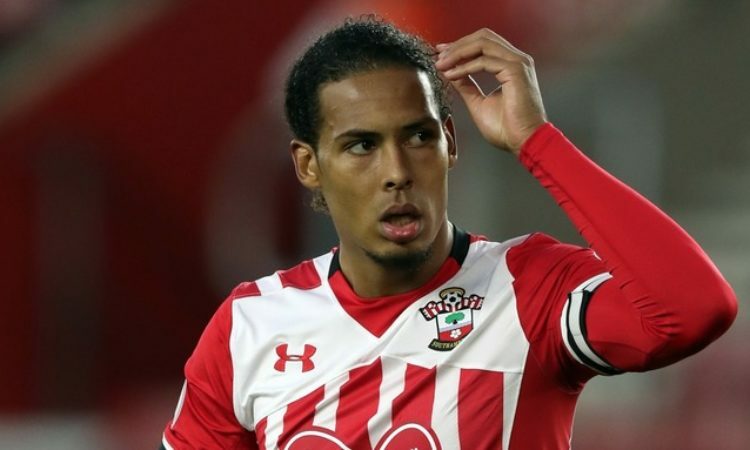 Van Dijk’s move from Southampton to Liverpool is the sixth transfer between the clubs in the last 3½ years, with other players trading St Mary’s for Anfield including Rickie Lambert, Adam Lallana, Dejan Lovren, Nathaniel Clyne and Sadio Mane. Liverpool had held a long-standing interest in the Netherlands defender and wanted to sign him in the summer until they were forced to publicly apologise to Southampton amid tapping-up allegations. Speculation had been rife regarding van Dijk’s future after he was absent from the matchday squad for Southampton’s past two games.